Unique in the market, this bike is specially designed for female riders. Each bike has around 200 spots, all individually placed onto the frame by hand, therefore no two bikes are quite the same. 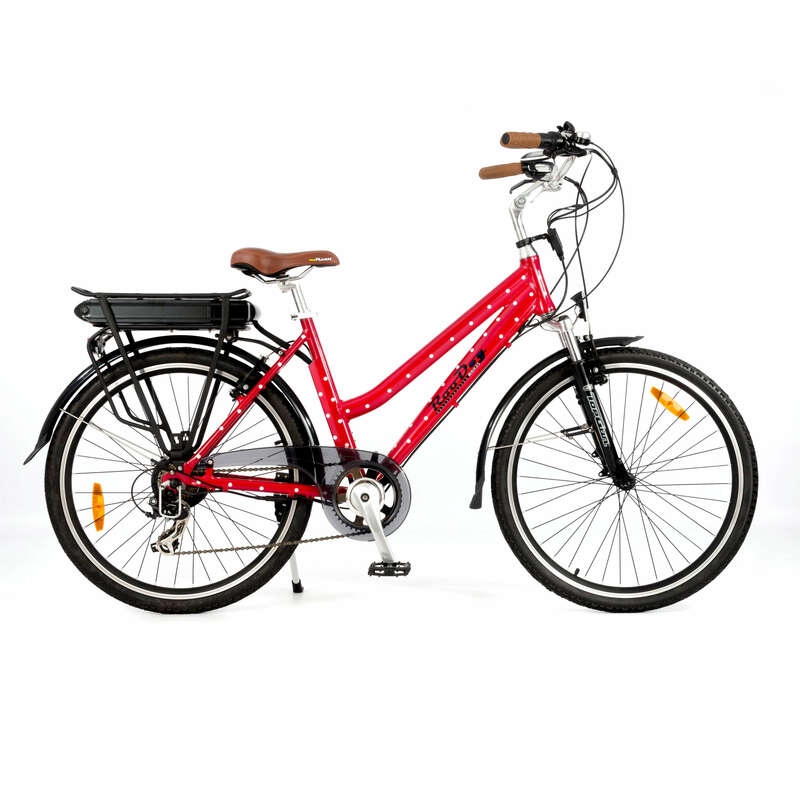 Really comfortable riding position, this bike is available in vintage red or retro blue. 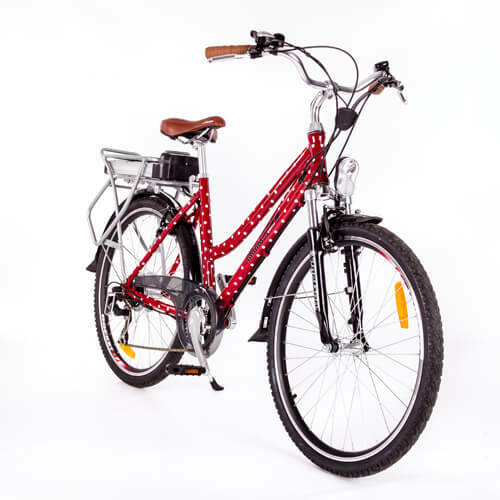 The Roodog Polka Dot Electric Bike is unique in the market. 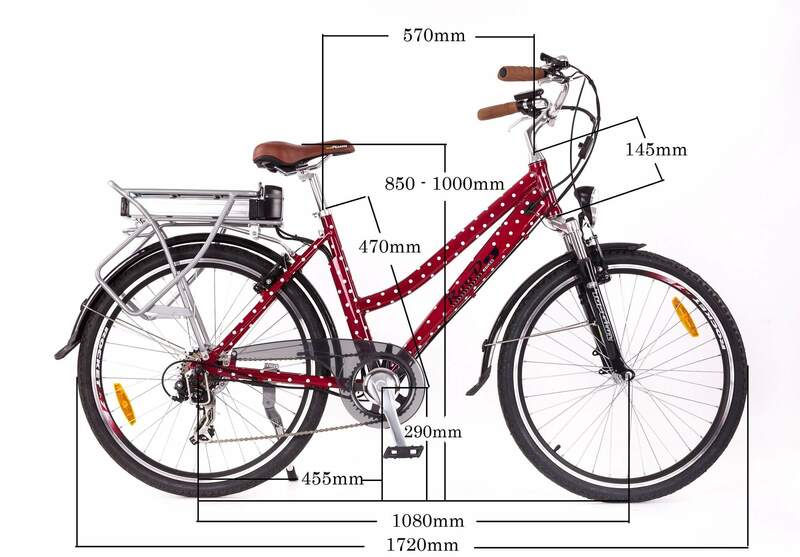 With each spot individually placed onto the frame by hand, the Polka Dot ebike is specifically designed for female riders. Available in Vintage Red and Retro Blue, this really is a good looking, good quality bike at a competitive price. 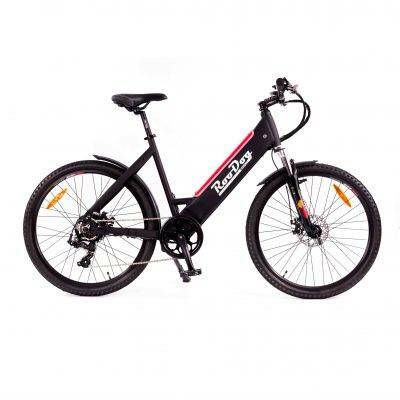 Powered by a 36 volt 10Ah lithium-ion battery. This gives a range of up to 30 miles* per full charge. Batteries can be charged on the bike or unlocked and removed and will take four-six hours to charge from flat. 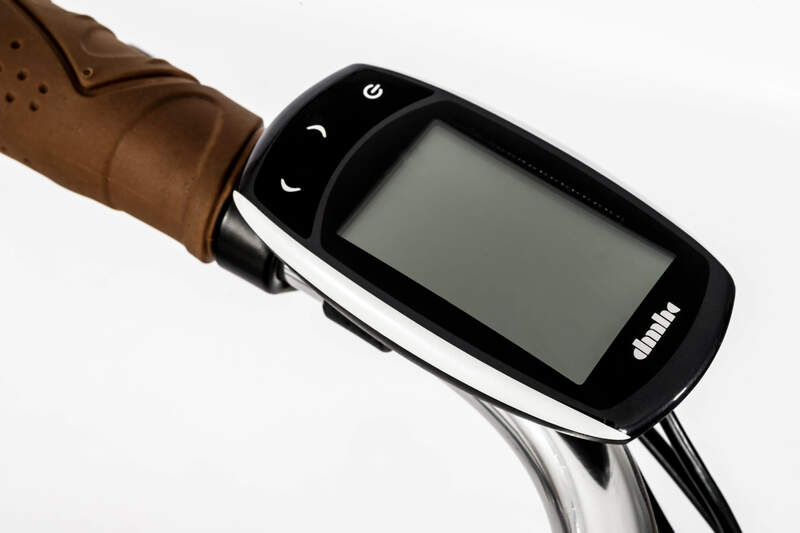 The LCD display shows a battery indicator, management of five speeds, LED lights front and rear, a tripometer and speed indicator. 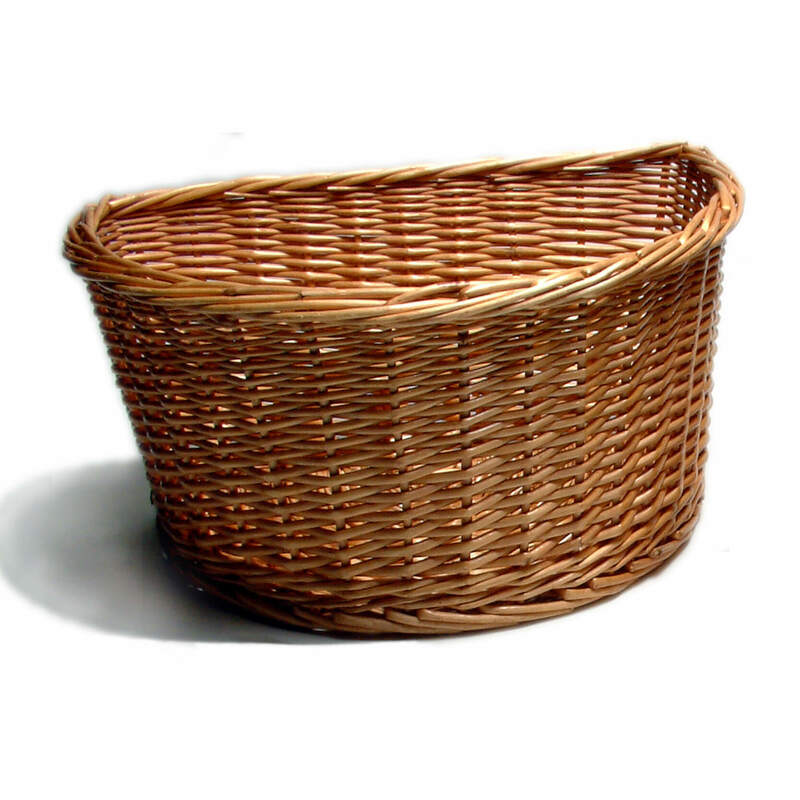 Weighing just 21kg with the battery on makes it lightweight and easy to handle. The really comfortable riding position makes cycling fun and the five modes of pedal assist combined with the Shimano 7 speed Tourney gears mean you don’t have to worry about those hills. Aluminium alloy wheel rims and 26” X 1.75” Kenda tyres give a good combination traction on the road and long range by reducing friction on the road. The quality, power and reliability make the Polka Dot ideal for general road use. I purchased my lovely red polka e-bike in the summer. I reluctantly had to stop cycling about three years ago because of a bad back. I spoke to physios who recommended that cycling would be beneficial. I have used the bike a lot – back and knees are much improved and it has given me a sense of freedom. I no longer have to get the car out to do shoping. Can’t recommend it enough.